Toronto relying on strong real-estate market to balance budget – ARMATI Construction Group Inc. The city’s top bureaucrat, city manager Peter Wallace, unveiled a preliminary 2018 budget on Thursday that will be debated and amended before a final vote in February. Unlike in many previous years, the proposed books are already balanced. The province’s new housing plan, which included a foreign-buyers tax aimed at discouraging speculators, has been credited with a sink in still-sky-high prices for homes in Toronto in recent months. New tighter federal mortgage rules next year are expected to have a cooling effect. But the city is still predicting that it will rake in $85-million more from the land-transfer tax in 2018 than it did this year. 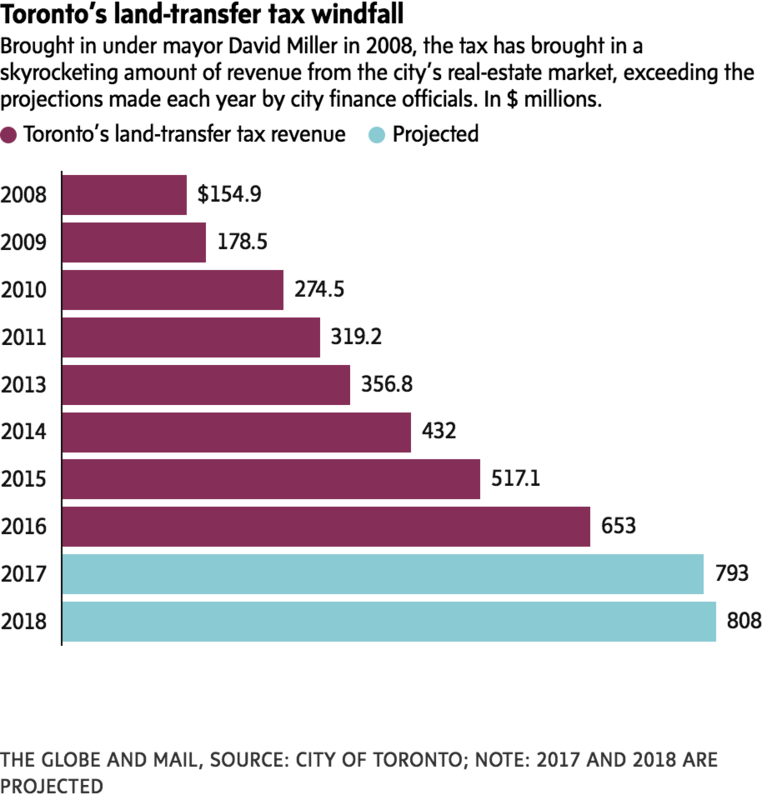 The land-transfer tax, brought in almost a decade ago by then-mayor David Miller, is producing more than four times the revenue it did when it launched in 2008. It’s a big reason that Mr. Tory has been able to keep his election promise to limit residential property-tax increases to the rate of inflation. Mr. Wallace’s preliminary budget plan assumes an increase in the base residential property tax rate of 2.1 per cent, the rate of inflation. It has about $9-million left over for council to allocate as it chooses. Among them are anti-poverty programs; a planned two-hour transfer program for Toronto Transit Commission riders; the mayor’s new traffic wardens to fight intersection congestion; student nutrition programs; the recently endorsed anti-black racism initiative and Indigenous-affairs office; funding for climate-change plans; and programming at an east-end swimming pool saved from extinction after last year’s budget. “We talk about all these services we need, but we’re locked in because a budget gets produced based on some election promise for the mayor,” Ms. Davis said, pointing to city numbers showing that per capita, city spending has continued to decline despite a growing population and growing inequality.